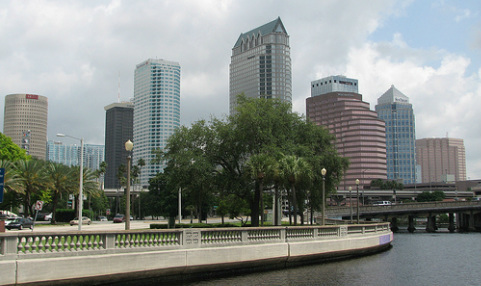 VERA offers full service management to condominium and homeowners' associations located in the Tampa Bay Area. We do not believe in a "one size fits all" approach to association management. When we present a formal proposal and sample management contract to an association, the services included will be customized. No matter how customized, however, we will always provide the following services. Property Inspections: Complete thorough property inspections and identify property deficiencies. Repair deficiencies and/or bring deficiencies to the attention of the Board of Directors, as appropriate. Evidence (through photographs) any visible homeowner violations of the Rules & Regulations. Board Meetings: Coordinate and attend Board meetings. Competitive Bidding: Competitively bid association maintenance and renovation projects above a cost threshold established by the Board. 24-Hour Emergency Response: Respond promptly to all property emergencies 24/7, including visiting the property if necessary. All three members of the VERA team are on-call to handle emergency response. Emergency Preparedness: Maintain an Emergency Preparedness Plan for the association with a particular focus on hurricane preparedness if requested by the Board. Association-Owned Units: Manage any association-owned units including obtaining insurance policies, coordinating maintenance and repairs, and finding qualified tenants. Insurance: Work with the Association's insurance agent to obtain appropriate insurance policies that provide adequate coverage. Obtain certificates of insurance and Form W-9s from vendors. If homeowners are required to carry insurance according to the association’s governing documents, establish policies and procedures to encourage homeowner compliance. Reporting: Provide Manager's Reports to the Board outlining the status of current association projects as well as recommended next steps. Property Access Management: Manage the property’s access system, if applicable, including vehicle and pedestrian gate fobs and access codes. Maintain keys for all association and unit locks as necessary. Issue parking passes as necessary. Employee Supervision: Provide supervision and management of all association employees including employee performance reviews and the development of comprehensive employee job descriptions, if desired by the Board. Obtain proposals for worker’s compensation insurance as necessary. Long-Term Maintenance Planning: Create a long-term maintenance plan for the association based on budgeted items, the association’s reserve study, as well as any Board “wish list” projects. Accounts Receivable: Purchase and issue coupon books, collect all maintenance fees and assessments, and deposit all association checks. Delinquent Homeowners: Implement aggressive collections procedures (approved by the Board) including issuing delinquency letters, assessing late fees and/ or interest, and coordinating with the association's attorney to issue pre-lien and/or rent garnishment letters, file liens, foreclose on units, and/ or file for eviction. Accounts Payable: Pay all association invoices in a timely fashion and establish a Board approval process for payments. Payroll Services: Handle all payroll tasks related to the association’s employees including bi-weekly check issuance, completing and filing Florida state and Federal tax forms, administering employee benefits, obtaining Form W-4s, and issuing Form W-2s. Financial Statement Preparation: Provide monthly financial statements including balance sheet, income statement, budget comparison, accounts receivable, and other customized reports as requested by the Board. Financial Compilation, Review or Audit Oversight: Coordinate with the CPA firm selected by the Board for completion of the Association’s year-end audit, review or compilation. Reserve Funding: Advise the Board regarding reserve studies and reserve fund investment strategies. Implement a long-term plan to finance large future maintenance projects. Budget Preparation: Prepare a draft of the association’s annual budget based on the association’s long-term maintenance plan and the wishes of the Board. The budget will include a reserve schedule detailing the contribution necessary to fully fund reserves. Form 1099s: Issue Form 1099s to all eligible vendors. Federal Tax Returns: Complete the Association’s annual federal tax return in a timely fashion. Association Policies and Procedures: Draft, maintain and enforce association policies and procedures (e.g., sales and lease policies, violation policy, homeowner unit maintenance policy, property access policy, maintenance fee collections policy) as approved by the Board. Official Records: Maintain the association’s official records in a secure location (primarily electronically*) and provide them to homeowners upon request. Board Meeting Coordination: Prepare and distribute meeting agendas, prepare information packets for each member of the Board and produce detailed meeting minutes. All documents may be customized by the Board. Resident Database: Maintain a detailed resident database including owner and resident names, addresses, phone numbers, email addresses, and any other relevant information. Resident Communication: Respond promptly to any resident concerns or requests. Communicate with residents regarding all relevant association events. Assist in the drafting of newsletters or other communications at the request of the Board. Association Mailings: Draft and disseminate association mailings required by Florida Statute (e.g., annual meeting notices, draft budget, proxies). Homeowner Committees: Provide guidance and assistance to Resident Committees. Attend Committee meetings upon request. Registered Agent: Serve as the association’s registered agent if desired by the Board. Property Sale/ Lease Assistance: Facilitate the sale and/ or lease of units by assisting with the approval process, running background/ credit checks, fielding questions from brokers/ agents, and preparing homeowner questionnaires and estoppels. Website Creation/ Maintenance: Assist in the development and maintenance of the association’s website (benefits for a website are discussed here on our blog). Architectural Review: Establish and enforce policies and procedures relating to homeowner architectural review requests. Assist homeowners in preparing and submitting such requests to the Board. Maintain a log of architectural review requests including the unit number, the specific request, information provided, request date and Board decision. *We strives to reduce unnecessary administrative costs in an effort to protect the environment and provide the very best price for quality management services. As such, we provide all notifications and store all documents electronically when allowed by Florida Statutes. VERA offers a broad array of consulting services to Florida condominium and homeowners' associations that are not under our management including contract bidding and negotiation, project management, document drafting, and self-management guidance. Where necessary, we partner with Ryan M. Koski, CPA, PA for legal guidance. See our full list of services here. VERA offers the full scope of financial services to Florida condominium and homeowners' associations including bookkeeping, A/R and A/P management, payroll services, financial audits, compilations and reviews, year-end report of cash receipts and expenditures, federal tax returns and budget preparation. Contact us today for more information.